Local congressman Jared Huffman is calling for emergency funding to fix Bay Area bridges. Huffman spoke at a public forum on transportation infrastructure today in San Rafael. The Highway Trust Fund, which funds transportation projects across the United States, is close to being insolvent, which could interrupt major transportation projects slated to start this summer. California depends on the Highway Trust fund for nearly half of its state transportation budget, according to the Congressman’s office. Huffman wants Congress to pass a short-term fix in order to stabilize the fund and keep current projects from coming to a standstill. Huffman also is proposing a new bill to fund bridge and highway repair that would cover the next six years. In the meantime, Huffman says says there are private sector projects in the works to assist with improvements. Right now the notion of better funding bridge repairis getting support from both sides of the political aisle, but whether it actually passes congress remains to be seen. 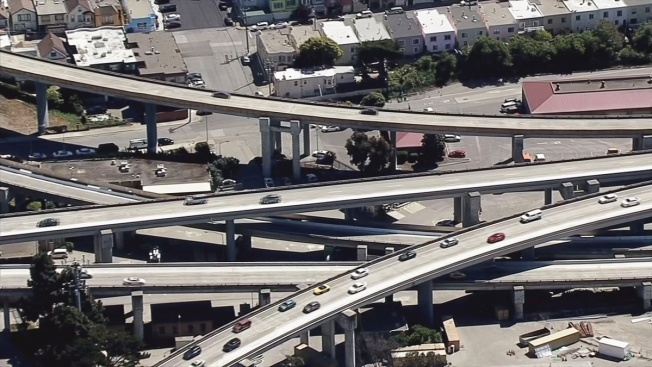 Earlier this month, Caltrans officials told the Investigative Unit that it would take 57 billion dollars just to fix all the problematic bridges we found in our report.